You can find Anil on LinkedIn or Twitter. This is our recent interview with him, as part of our Kinsta Kingpin series. My first encounter with WordPress started in 2004 during my college days when I was studying Computer Science. As a part of my study research, I was exploring Linux/PHP/WordPress and was even a part of the Linux/Open Source group. PHP intrigued me the most and I decided to become a PHP Developer. I was also involved in various stints as a web developer where I learned to develop websites, web applications with PHP & MySQL, etc. My experience led me to earn a PHP 5 and Zend Certification. When I actually started working in 2007 for agencies as a web developer, I had first-hand experience using WordPress for building blogs, websites, social networking applications, etc. I also worked with Joomla, Drupal, and similar other CMS platforms. And, out of all of them, the WordPress CMS interested me the most. I loved working with WordPress and tailoring it for client-specific projects. One of my clients was very happy with the way I managed her blog using WordPress and this further led to my interest in WordPress. All this boiled down to me and my friend, Aslam, deciding upon kick-starting Multidots, a WordPress Agency in 2009 that would focus on building blogs, websites, web applications, e-commerce, social networking stuff, etc. Everything with WordPress as core and other tools such as BuddyPress and WooCommerce. 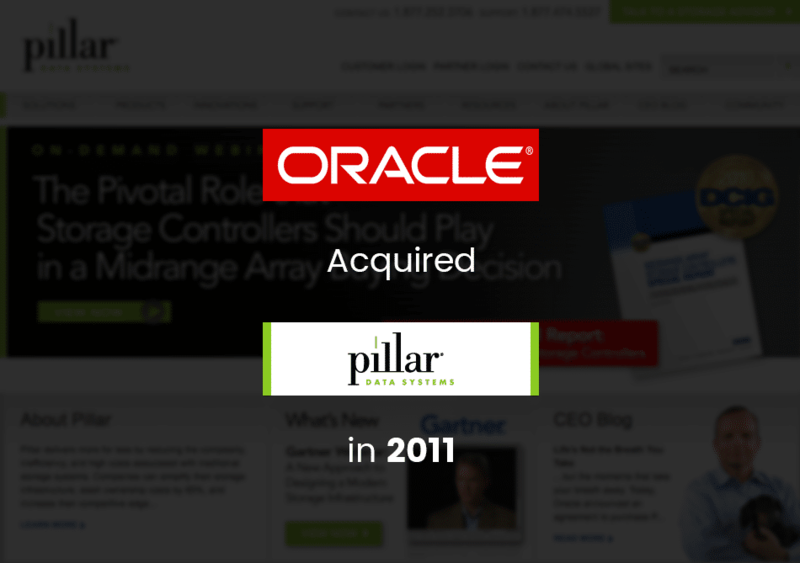 Our first big WordPress project was to build a corporate website for a very big and reputable enterprise in Silicon Valley – Pillar Data (which was later acquired by Oracle). We built their official website with WordPress and also built their first employee and customer social networking platform with BuddyPress. Q2: What should readers know about your agency Multidots, & what kinds of clients are a good fit? Being a core WordPress agency, we have the much-needed expertise to offer solutions and sound business advice when it comes to building web applications, blogs, websites, social networking sites and e-commerce stores with WordPress, WooCommerce, and BuddyPress. We primarily work with start-ups and small businesses to help them achieve growth with targeted web and mobile solutions. Our aim is to work for agencies and enterprises, also acting as their extended arm when it comes to building web and mobile products and even offering them continuous tech support. Our 100+ team has experience in building back-end services, front-end solutions, user-focused user interfaces and much more for big agencies and global brands. We work as a remote team and this, by far, has been our most successful working model. In a nutshell, we have world-class experience in building web and mobile products for start-ups, lean enterprises, small agencies, and global organizations. When it comes to our philosophy, we focus on taking the utmost care of our employees by providing complete freedom with responsibility and addressing their individual needs. And this, in turn, results in a happy, satisfied workforce – which – automatically takes unmatched care of our clients – who – in turn are happy with the services and support that we deliver. Our team is very active and open about open source contribution. Visit our GitHub profile and WordPress profile for all the activities and contributions done by our team. 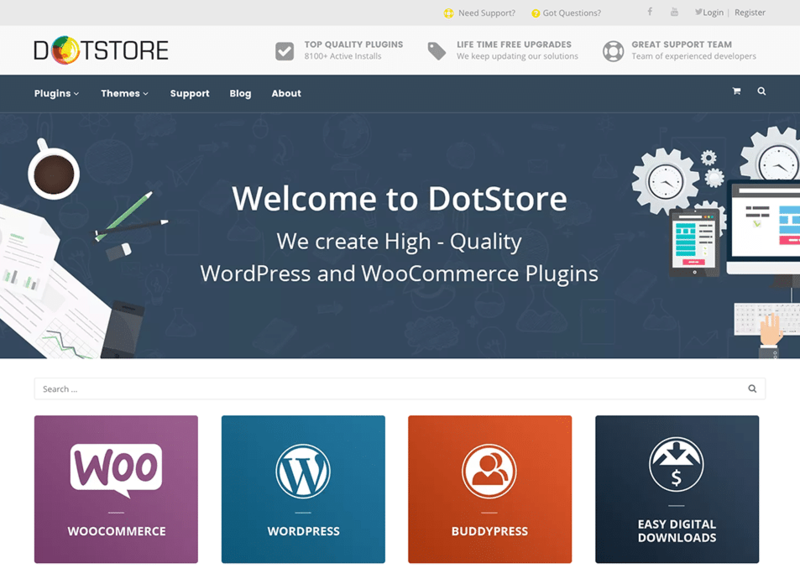 We also have our official store for premium themes and Plugins – DOTSTORE. Q3: What challenges did you face in building the agency? Starting your own business and leaving the comforts of a well-paying steady job is no easy task. But the excitement and challenges of starting your own agency is in itself a booster. When we started Multidots, our first major challenge was attracting the right kind of people who share our passion for technology and have the mindset to achieve goals without getting discouraged by the hurdles. When you start a company, it’s not a 9-to-5 job. You will have to put in long hours and go out of the way to deliver high-quality work to clients. So, in a nutshell, finding people who have an entrepreneurial bent of mind and guts to speak their mind was a tough nut to crack. And it does not end there. When you attract the right talent, retaining them and creating a culture that fosters their creativity and encourages them to stay back is also challenging. Fortunately, by adopting the right values, we have been able to retain 96% of our employees. Our attrition rates are almost less than 4%. And this helps us retain clients too. Secondly, the concept of ‘outsourcing’ has brought in positives as well as negatives for our country. I will focus on the latter part. It not only increases competition, but it has also created a somewhat negative image for Indian companies – like you get average quality of work done at cheap rates, if you want to get done something at low cost – India – is the first name that comes to people’s minds. I don’t agree with that. Just because we work from India does not mean we will do it at low cost and deliver low-quality work. We are trying to change that image by delivering high-quality work at competitive, affordable rates. We do some very high-quality work and are not cheap. And, even if it means saying no to work, we do that. We never work on projects, we work on building relationships. Q4: Did anything surprise you during the process of growing it? We started out with an investment of almost $200, a couple of desktop computers & a rented apartment. We never knew this investment would turn into a million-dollar business half-a-decade later. This was one of the most pleasant surprises we have ever had. Secondly, we have had the chance to work with some start-ups and we have seen them growing into multi-million dollar businesses and Inc. 500 companies. We have built mobile apps (EventEdge – mobile app for conferences and events) that are now used all over the world by big brands (like LinkedIn, Vodafone etc.) and their audiences. It is being used by millions of people. Another client of ours, ABUV Media, got featured in the Inc. 500 list this year. Then, we have worked with iyzico, the most popular payment gateway in Turkey. These guys started just like us from a coffee shop and have now received millions of dollars in funding. I think growing and helping our clients grow with us, and taking the journey together have been pleasant surprises for us. Q5: What does the future look like for the agency? Our focus is to make Multidots a global brand and hence we are in the process of expanding into countries like the US and the UK. The idea is to further strengthen our relationships with existing clients and even increase that client base. We are also planning on becoming verified WooExperts and being a WordPress VIP Partner, because we think we have all the ingredients to work and serve the enterprise clients in WordPress. Moreover, we are working day in and day out, to build world-class products and platforms that address specific needs for our existing clients and other businesses. We also want to venture out in the augmented reality, virtual reality and the Internet of Things (IoT) regime. Lastly, we also want to participate in more WordCamps and Technology Conferences and share our expertise & knowledge with the world and learn, contribute & grow with the WordPress community. Q6: What do you look for in a managed WordPress host? Cost – Depending on the type of client (startup, enterprise, or small/medium business), we have to look into the cost of managed hosting. Every client has a different need and budget. So we look into the pricing along with what it offers within each price package. Speed/Scalability – This has been the most important factor while selecting a managed WordPress host. Scalability and robustness of the hosting to quickly adapt itself with the growing needs of a business must be taken into account. And tuned for speed. Security/Support – Hosting needs to be secure and support has to be very effective. This is particularly true at the launch, releases and migration. Backup/Restore – Backup & restore options and processes have to be top-notch. Q7: What is the WordPress community & market like in India? Compared to the US & UK, the WordPress Community is relatively small. But, the interest is gradually picking up. More and more WordCamps and local meet-ups are being organized and it’s good to see this interest growing. We have seen more and more WordPress agencies being set up and more people inclined to take the WordPress career route as developers, designers, consultants etc. The developer community is also growing and I see a huge potential for WordPress in India. Q8: What do you enjoy doing when you’re away from your laptop? When I am not working, I am a complete health freak – doing Yoga and Meditation for achieving mindfulness. Recently, I bought the Apple Watch and have started measuring my health activities to state healthier – physically and emotionally. Traveling is my second biggest passion. I make sure to take the time out to see the world, learn new things from every culture and explore and experience communities around the globe while visiting tech conferences. I also love contributing to the tech communities and so I am a regular visitor at WordCamps (local and worldwide) and even attend local meet-ups to learn, network, share and grow. I also enjoy reading books for inspiration and my favorite ones are Good to Great by Jim Collins and the biography of Steve Jobs by Walter Isaacson.